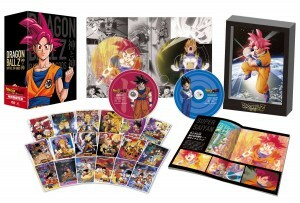 The movie which brought back Dragon Ball Z and the first to be backed by its creator Akira Toriyama will be released on DVD soon in Japan in this limited Edition Battle of Gods set. This version of Battle of Gods wont be available outside Japan on general release but Amazon has come through again and managed to get a few copys. A few places are selling a pre order for the DVD online but Amazon look to have the cheapest price and it is also the most trusted source for a pre order like this so get it while you can.